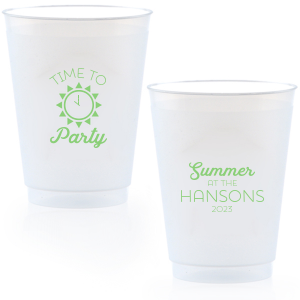 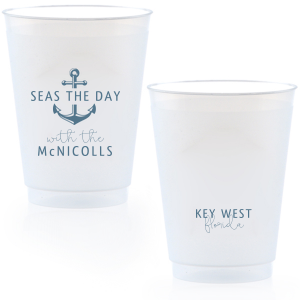 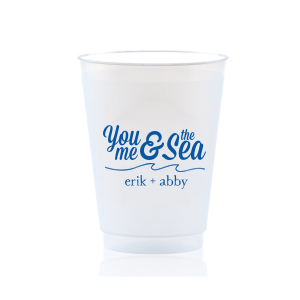 Give your toasts in paradise with personalized destination wedding 16 oz frosted cups. 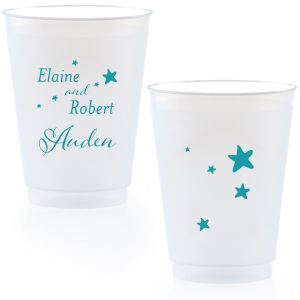 Create a look that complements your destination wedding design easily with our customizing options! 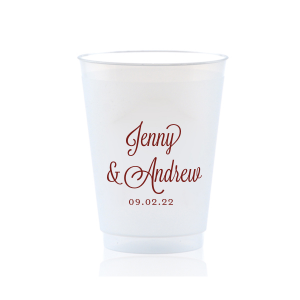 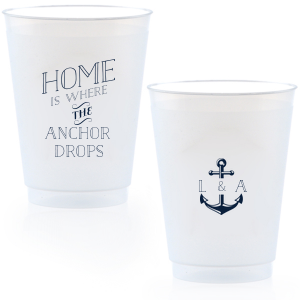 Perfect your destination wedding personalization with custom destination wedding 16 oz frost flex cups. 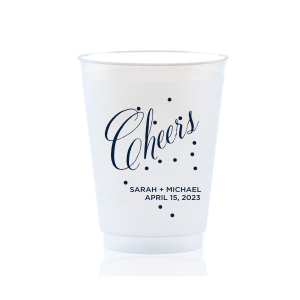 Choose a screenprinting color that coordinates with your wedding colorway, then browse the curated libraries of design ideas to find the best look for your custom destination wedding 16 oz frosted cups. 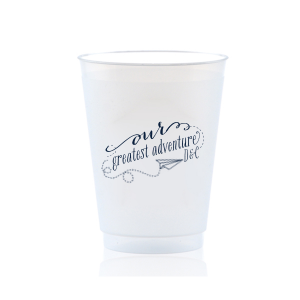 The 16 oz size custom destination wedding frosted cup works well for beer as well as soda, iced tea and lemonade. 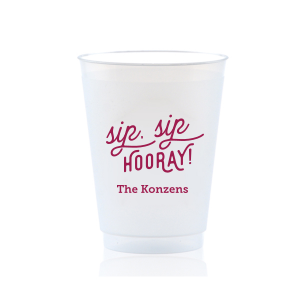 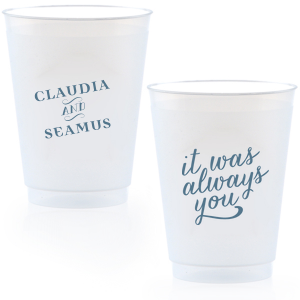 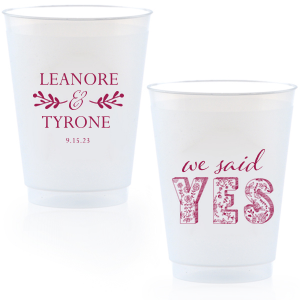 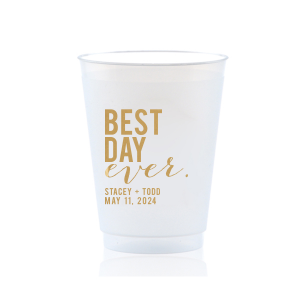 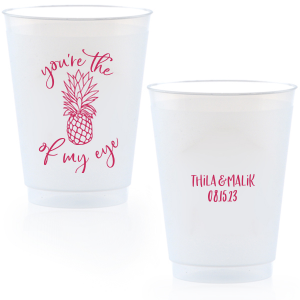 Your personalized 16 oz destination wedding frosted plastic cups are reusable, shatterproof and BPA free, so they make great party favors, too! 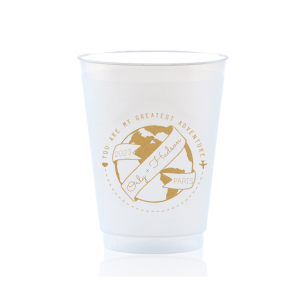 Create your customized destination wedding 16 oz frost flex cups today!